It’s said that if you cross a gypsy fortune teller’s palm with silver, she will happily tell you your future. Well, these days with all the financial analysts around, we don’t need fortune telling to predict the global market for silver. As you may know, silver is not just a commodity, but a precious metal that has been desirable to mankind over centuries. Of course, gold has always been the preferred choice for many investors, but given the gold-silver price parity, which is approximately 75:1 currently, silver is clearly a more affordable investment. Let’s look at where the market is in 2018 and where it’s headed. The silver price curve has always tracked the gold curve, which means that silver has historically mirrored the price movements of the gold market. However, the mirroring effect ended in March 2011, when gold broke free and rose quickly as investors parked their money in gold in order to escape exposure to the troubled international capital markets. From $800 an ounce in 2009, gold broke all records by racing to $1900 an ounce in 2011. Silver also enjoyed some of the action, rising to a price of $49.80 in April 2011. However, silver fell back against gold in the years after that, and the current spot price is approximately $16.58 per troy ounce. However, we are now witnessing an interesting phenomenon. The supply of silver has fallen significantly. The leading silver producing countries of the world, which includes Russia, Mexico, China and Peru have all registered drops in mining volumes. There’s no particular reason, just depletion of the resource. Peru, in particular, reported a 12% drop in production volumes in 2017. Yet another leading producer, Chile – the fifth largest producer in the world, also reported a significant drop in production volumes. From a high of 54mn ounces in 2014, Chile’s production dropped to an appalling 3.1mn ounces in 2017. Of course, scarcity of resource is just one of the factors that are affecting the silver market in 2018. The other is rising demand. The electronics industry is silver hungry and as of 2017, consumed 249.9mn ounces in 2017. This, in itself, is a significant 41.5% of the entire global industrial demand for silver, which was reportedly 599mn ounces in 2017. Other industries are silver hunger too. The demand for silver in the solar panels industry rose by 34% to 76.6mn ounces in 2016.
by the industry, coupled with a scarcity of supply is expected to start pushing up silver prices. Silver is expected to reach $20 an ounce soon. However, if the current situation continues in the silver industry, prices could go up much further. Some investment analysts believe that silver could reach $100 an ounce. Still, others believe that silver could soon be commanding a price of $130 an ounce. Whatever the outcome, silver offers stability to your investment portfolio and if it is to be believed that silver could reach new highs, it’s probably best to start investing in the precious metal now. 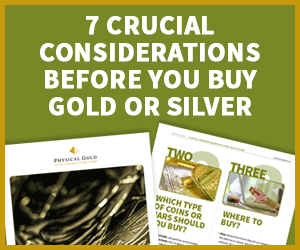 At Physical Gold, our investment experts track the silver industry on a day to day basis. So, we don’t need a fortune teller to tell us which way the market is headed. We love speaking to investors just like you, so if you’re thinking of investing in silver, give us a call. You can call us on 020 7060 9992 or message us via the contact form on our website. A member of our team will soon be in touch with you. This entry was posted in Blog and tagged Silver Investment.